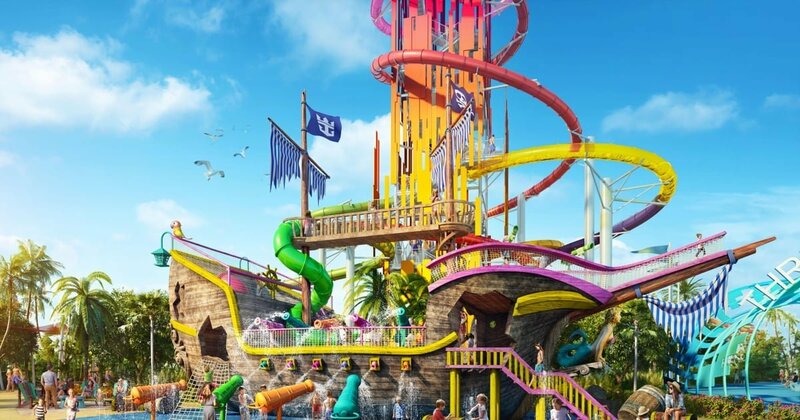 Attention, Adventure Seekers: Royal Caribbean's New Thrill Waterpark Has a 135-Foot Waterslide! Can you smell the sunscreen yet? With the days getting warmer and Winter (slowly) melting away, Royal Caribbean is offering a Summer getaway fit for the whole family — as long as everyone’s up for an adventure. Perfect Day at CocoCay, the cruise line’s colorful private island resort in the Bahamas, is scheduled to open in May, unveiling the Caribbean’s largest wave pool, a 1,600-square-foot zip line that ends IN the harbor, and a helium boom that will carry you 450 feet in the air. Just imagine the view! But the most thrilling reveal so far is that the island’s Thrill Waterpark will feature Daredevil’s Peak, the tallest waterslide in North America. If the name alone isn’t enough to spook you . . . the slide is 135 feet tall. “We are introducing Perfect Day Island Collection to ensure that we deliver the most memorable vacation for adventure seekers on land, as well as on board our ships,” said President and CEO of Royal Caribbean International Michael Bay in a press release. One of 13 slides available at the on-island park, Daredevil’s Peak is part of Daredevil’s Tower, which features twin Dueling Demons drop slides as well as a coiling Green Mamba slide and a high-speed, fully vertical (OMG) Screeching Serpent slide. Needless to say, you’ll need to leave your fear of heights at home. Other multi-rider slides include the four-lane Splash Speedway racing slides and a zero-gravity slide called The Slingshot. For anyone looking to enjoy the more tranquil part of a tropical island vacation, the resort — only accessible via one of Royal Caribbean International’s cruise lines — also features the Adventure Pool obstacle course, the Caribbean’s largest freshwater pool, a daydream-worthy oasis called Chill Island, and cabanas and daybeds for a well-deserved nap. Tickets for the three-day cruise begin at $240 and increase depending on the duration of your stay (up to two weeks). 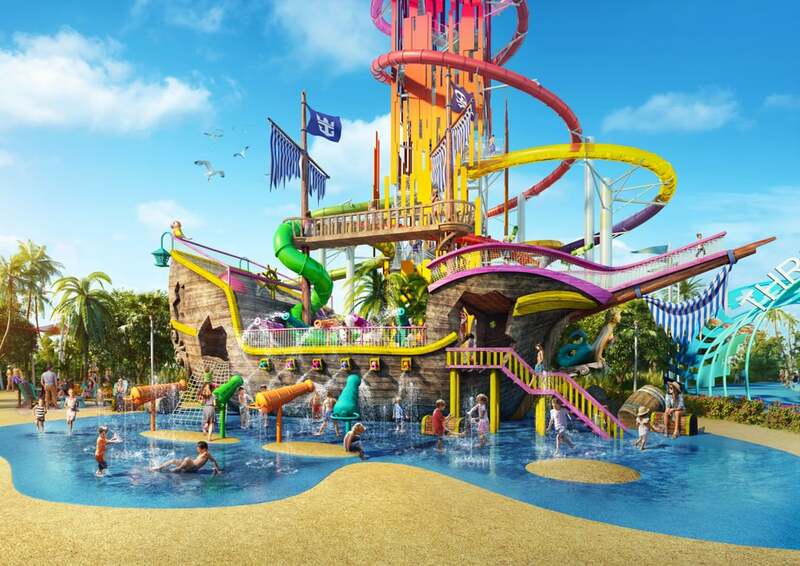 If you’re ready to take a closer look into this extraordinary water park experience, keep reading to see more photos of the island, or take a virtual reality tour on Royal Caribbean’s website before planning your next fun-filled Summer vacation. Do 'Summer House' Fans Miss Stephen McGee and the Wirkus Twins? The Fondue Express Gondola At Ocean House Is What Insta Dreams Are Made Of, So Say "Cheese"